Passportinfo.com is here to help make the process of getting a passport easy, quick, and straightforward. Our comprehensive guide to passport instructions for all passport types will tell you all you need to know to get your passport, including eligibility requirements, needed documents, how to submit your request, and how to get your passport fast. Review the options below to select your service and find the US passport instructions you need. These instructions are for first time applicants over the age of 16, as well as for applicants whose last passport was issued more than 15 years ago or before they turned 16. If your most recent passport was issued less than 15 years ago, you can submit it for a passport renewal. Select our Passport Renewal Instructions to learn more. If your child age 15 or younger needs a passport, select these instructions. The minor passport instructions apply both for first time child applicants as well as to children who have previously been issued a US passport. These instructions apply to applicants who have lost their most recent US passport, whether that passport was valid or expired. Select this option if your most recent passport was stolen, and learn how to have a replacement passport issued. If your passport is badly damaged, such as having a detached cover, torn pages, or severe water damage, you can get a replacement passport using these instructions. Have you legally changed your name since your last passport was issued? 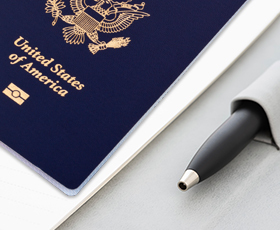 Visit our Name Change Instructions page to learn how to update your US passport into your new name. If your passport was issued with incorrect information or a printing error, you can have a corrected passport issued. These instructions also apply to travelers who were issued a limited validity passport who need to have a full validity 10-year passport issued. Frequent travelers and travelers to certain Middle East countries are eligible to obtain a second passport with limited validity. Visit our Second Passport Instructions page to learn more. Learn how to get a card version of your passport that you can use for land or sea travel to Canada, Mexico, or the Caribbean.